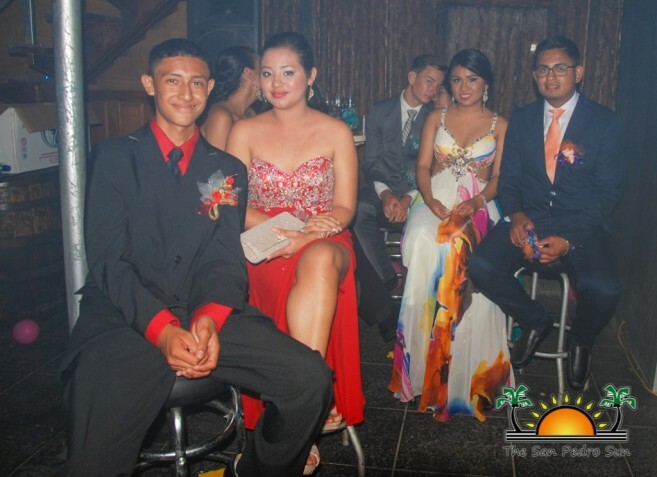 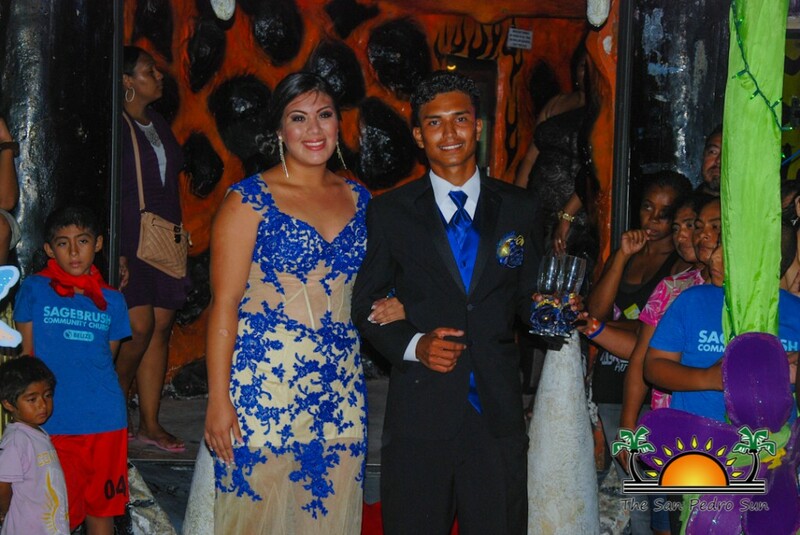 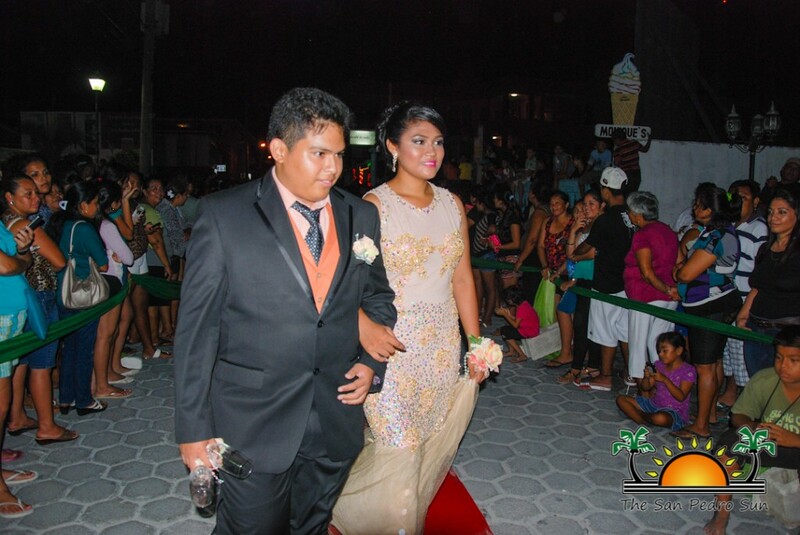 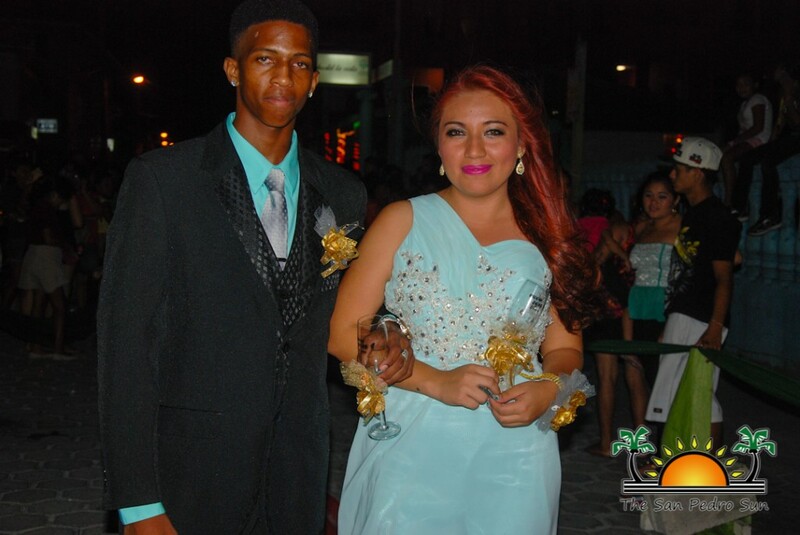 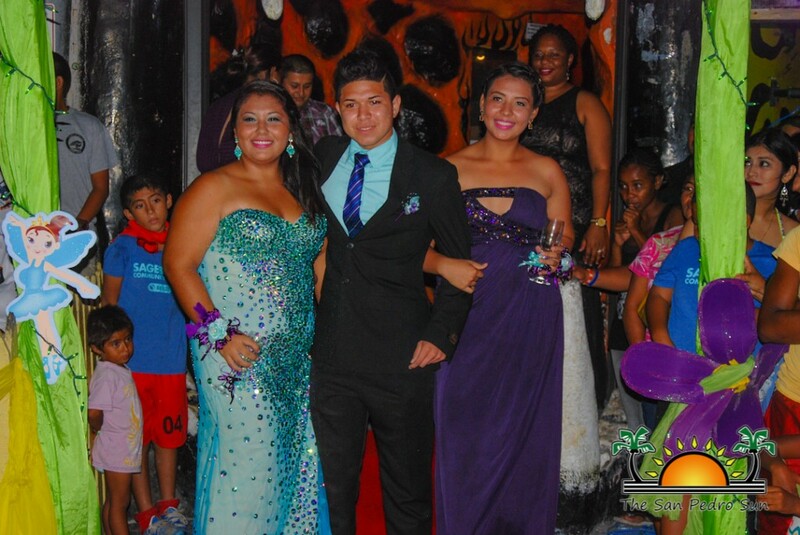 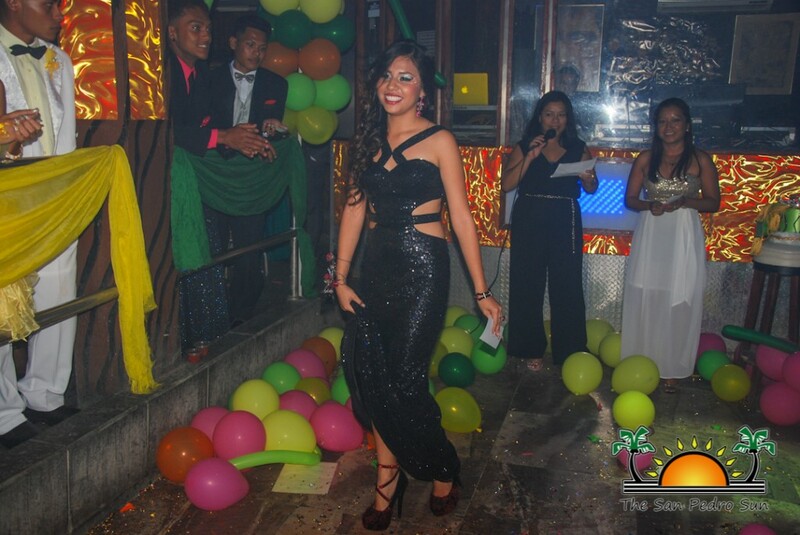 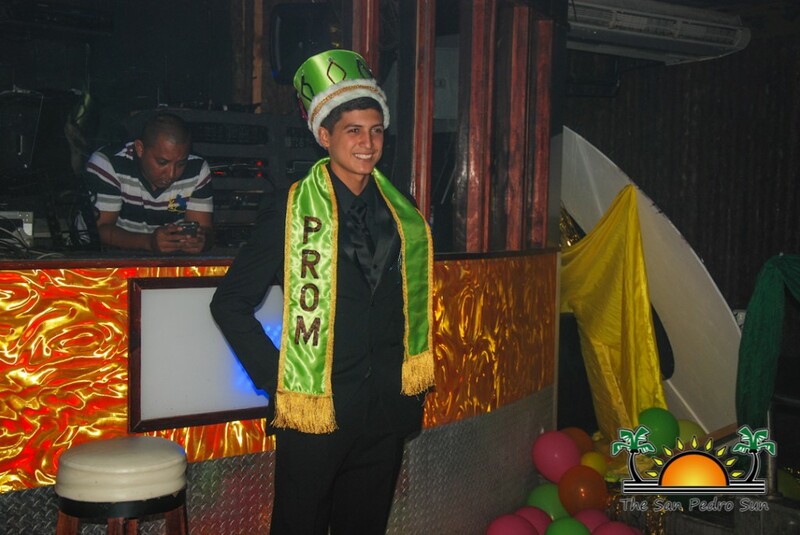 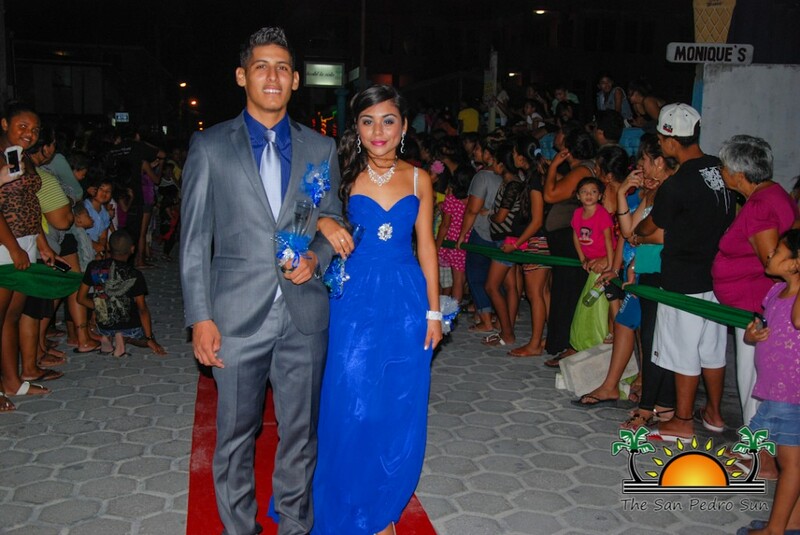 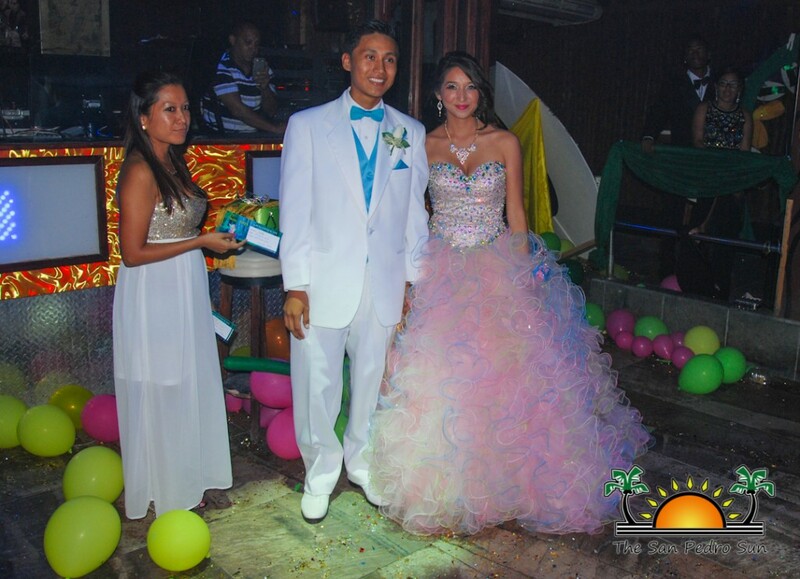 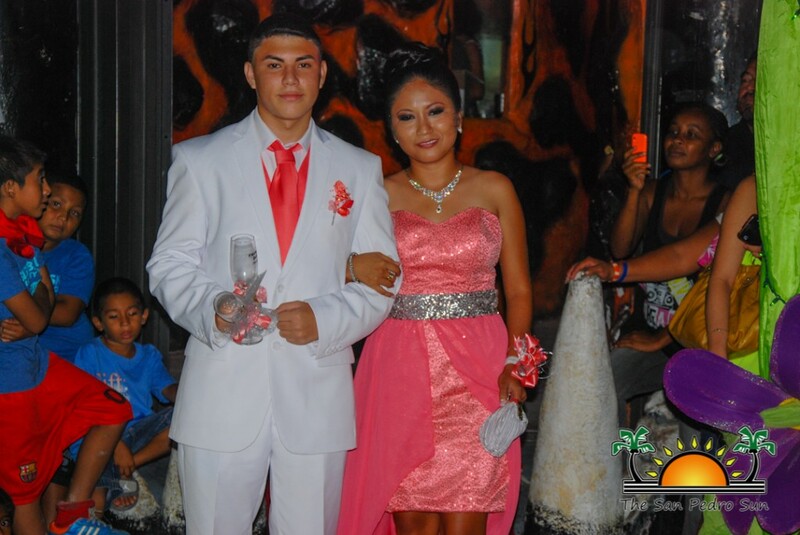 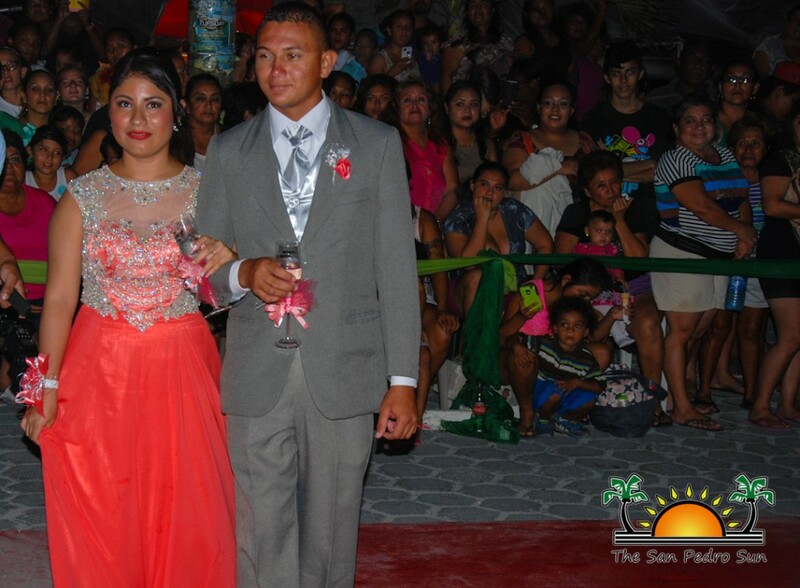 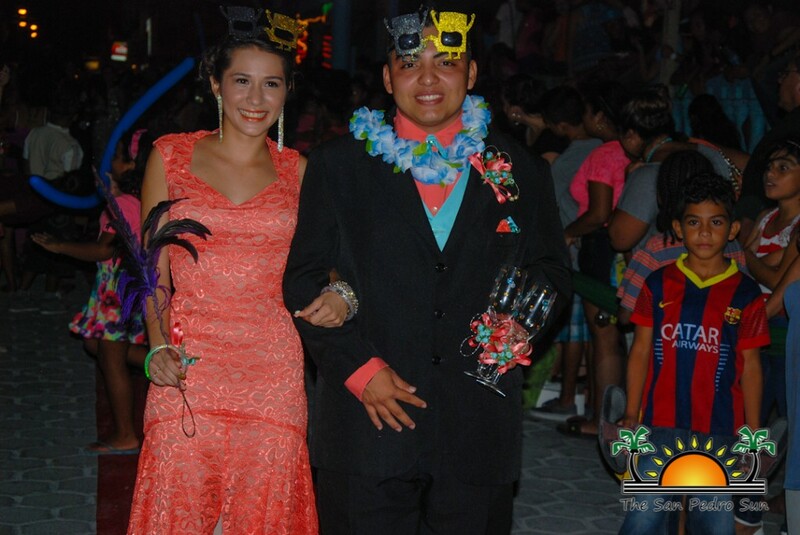 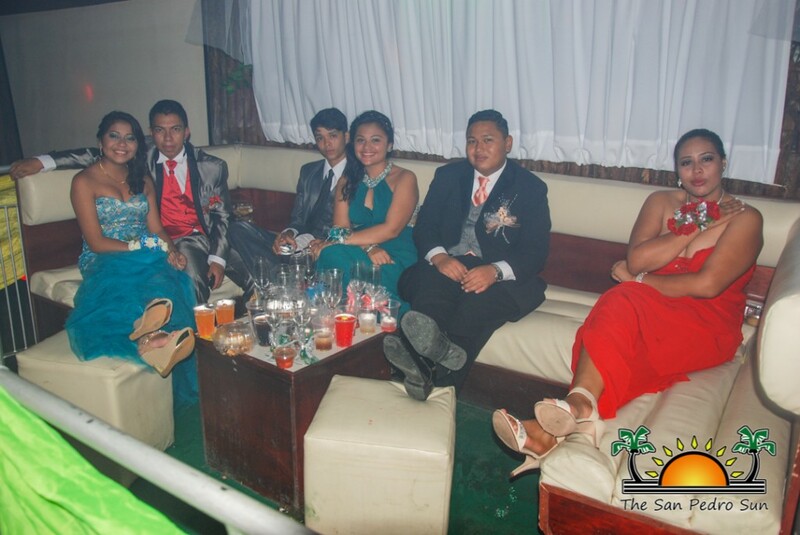 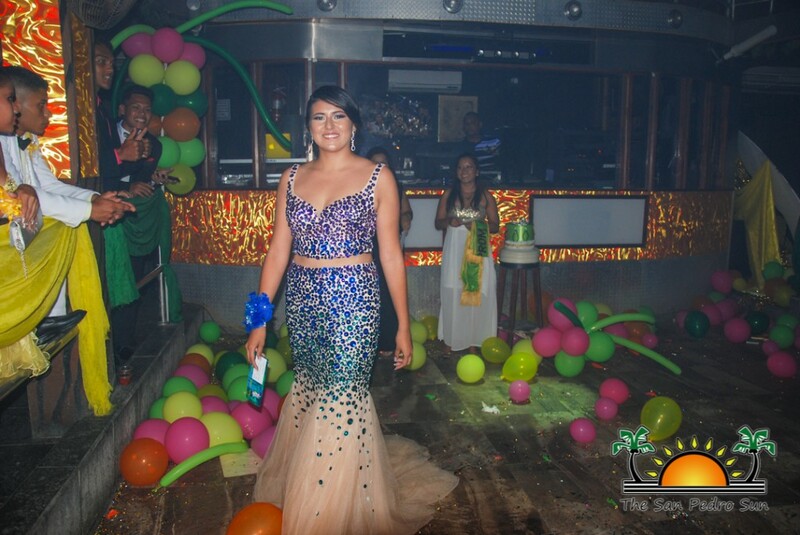 The 2015 class of San Pedro High School (SPHS) held its annual Prom Night on Thursday, June 11th under the theme “Midnight Summer Dream” at Jaguar’s Temple Club. 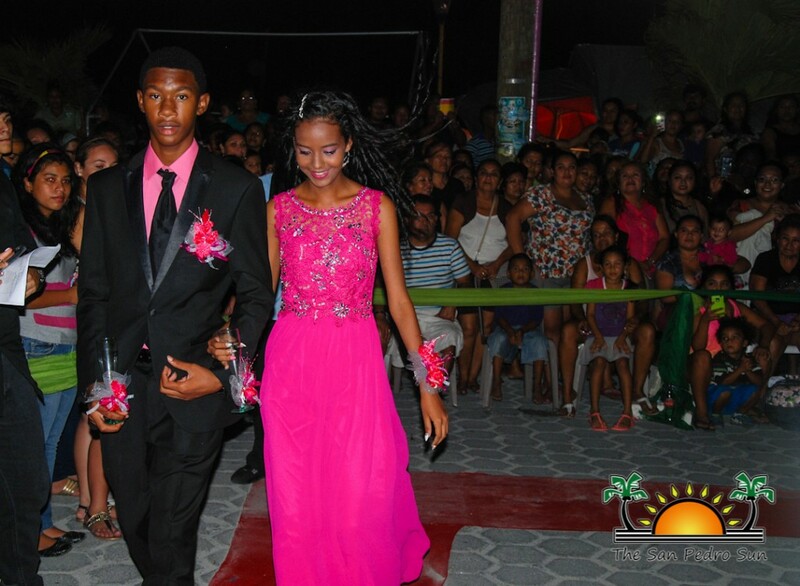 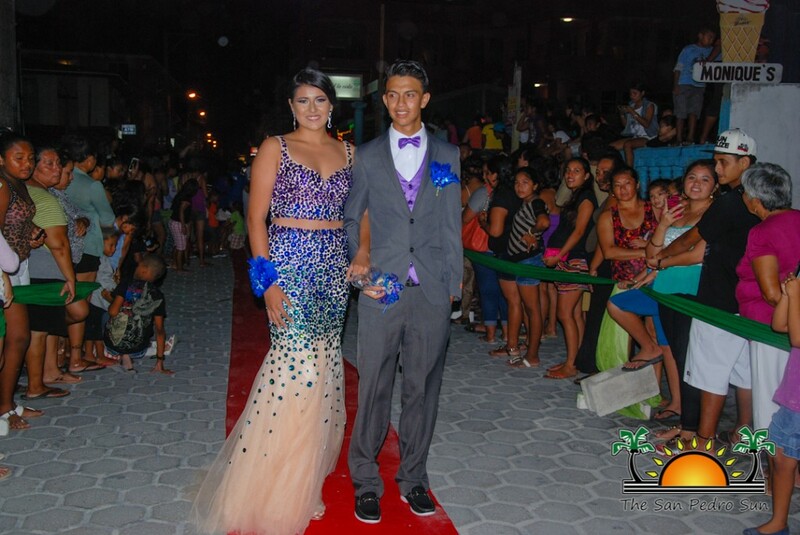 The highly anticipated show of glitz and glamour proved to be once again a spectacular occasion. 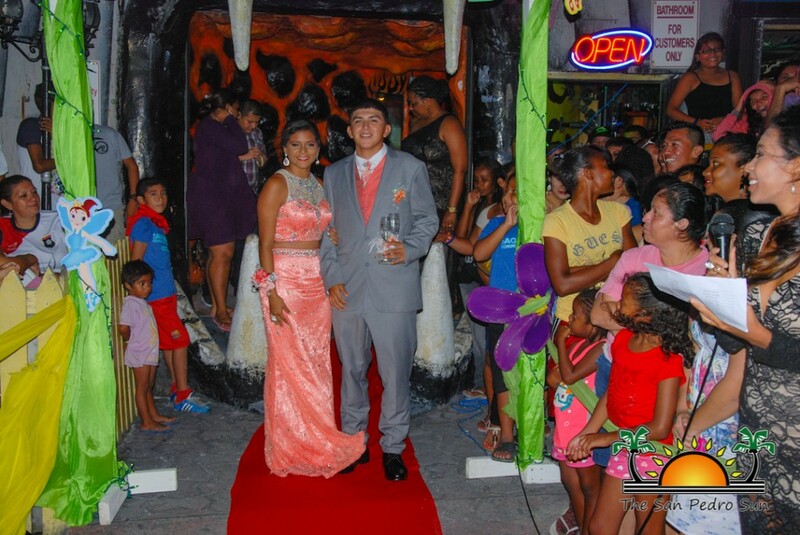 As always a large crowd of spectators gathered around for a glimpse of the lovely couples. 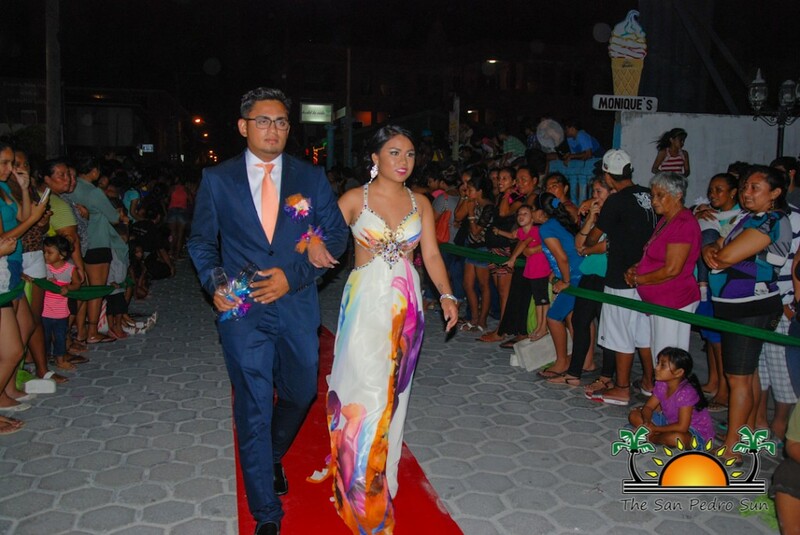 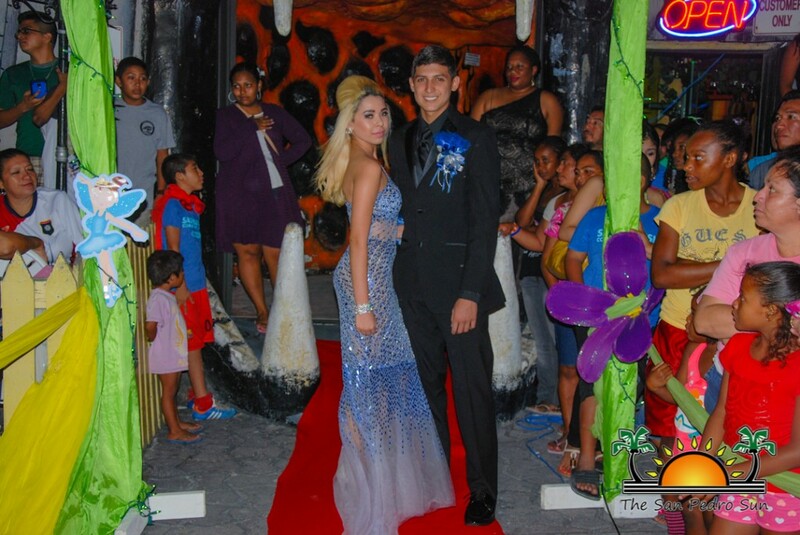 A section of Barrier Reef Drive in front of the Central Park and Jaguar’s Temple was closed to traffic while onlookers admired the stunning dresses and suits worn by the graduates and their dates. 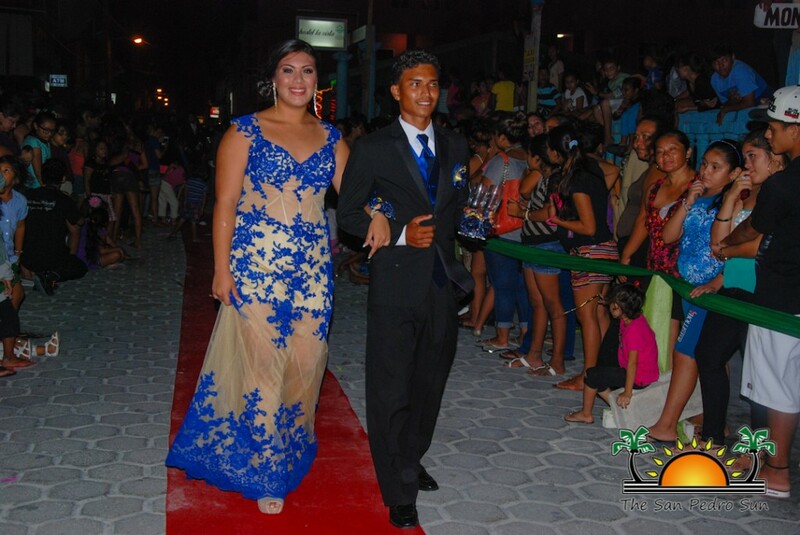 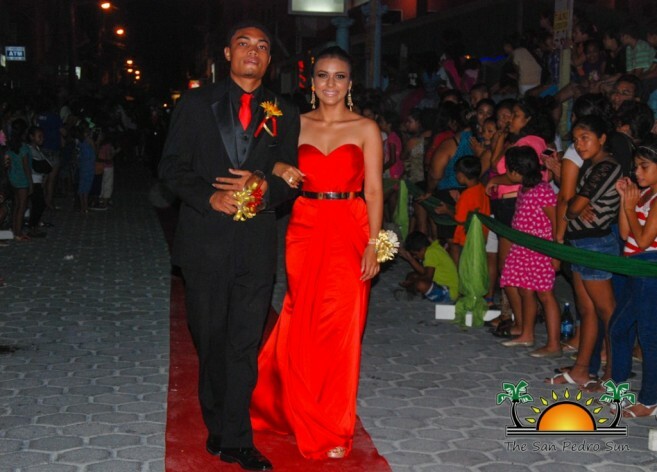 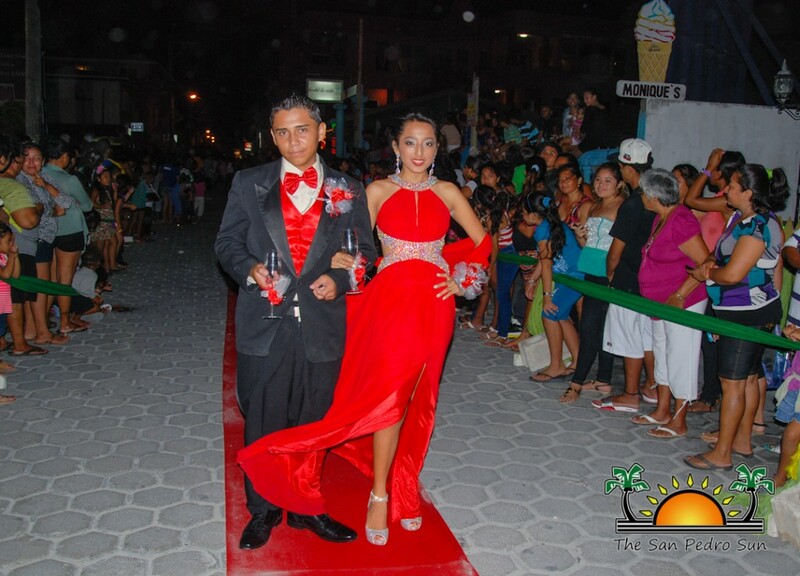 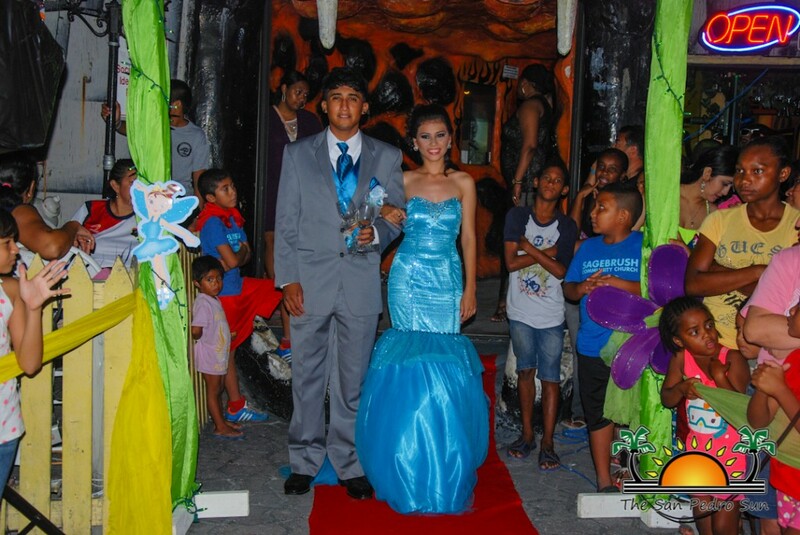 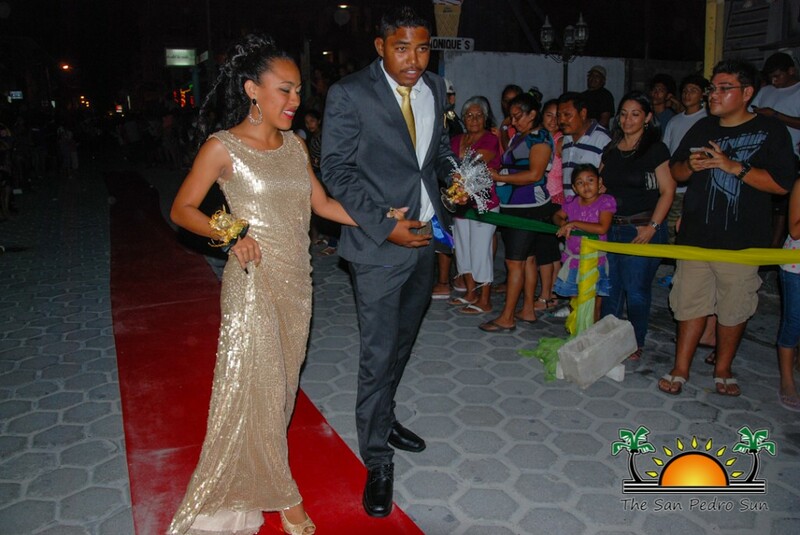 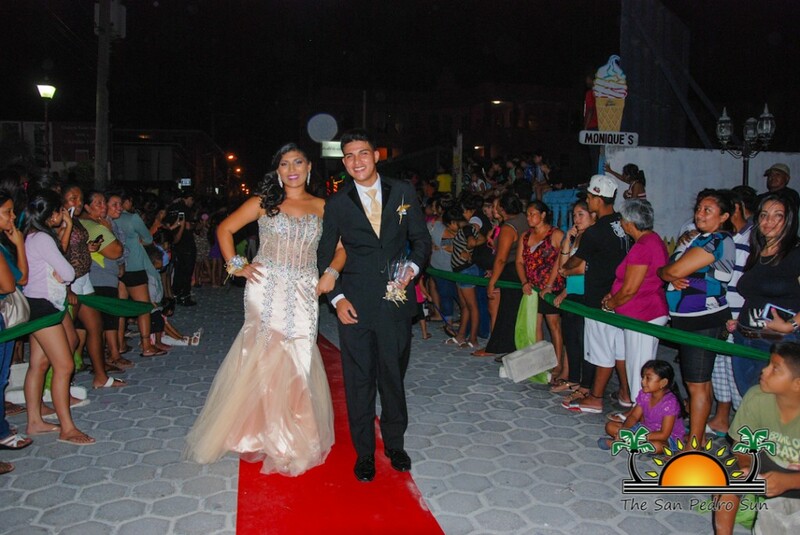 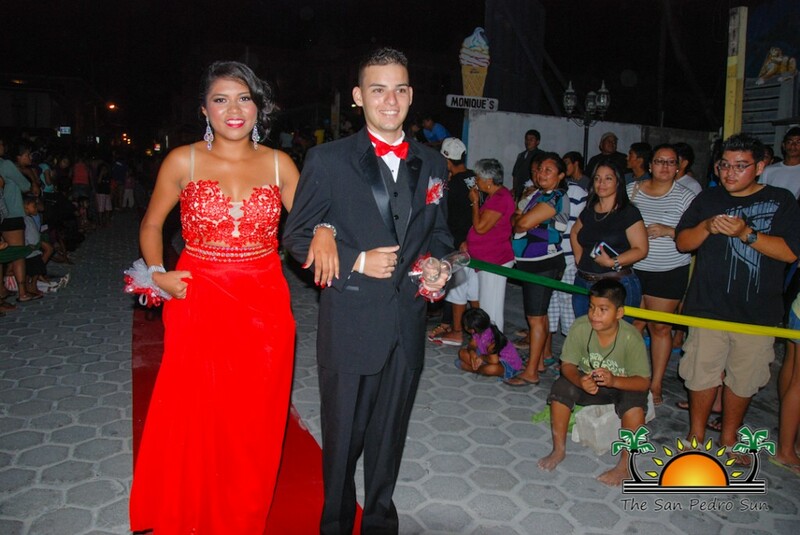 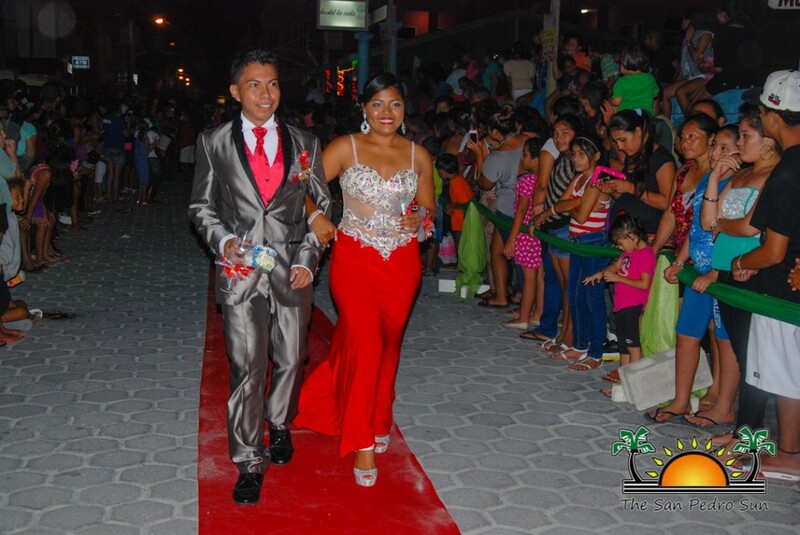 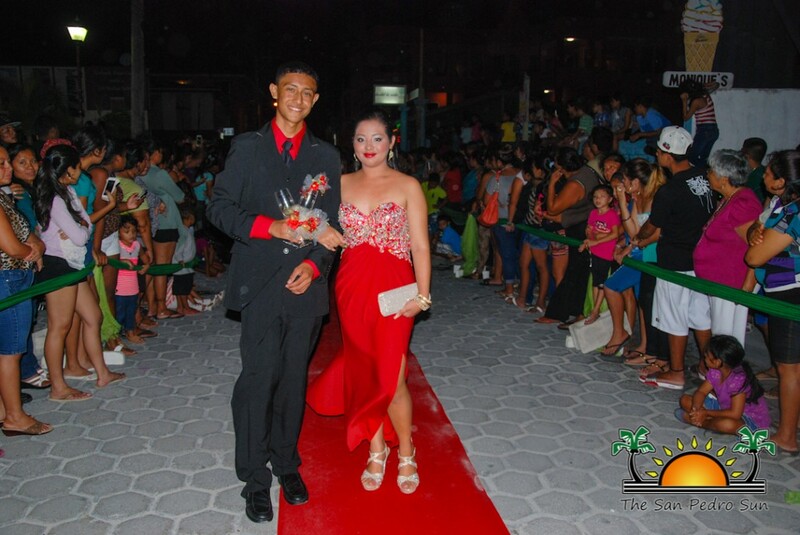 A lengthy red carpet provided the perfect opportunity for grand entrances and even some modeling. 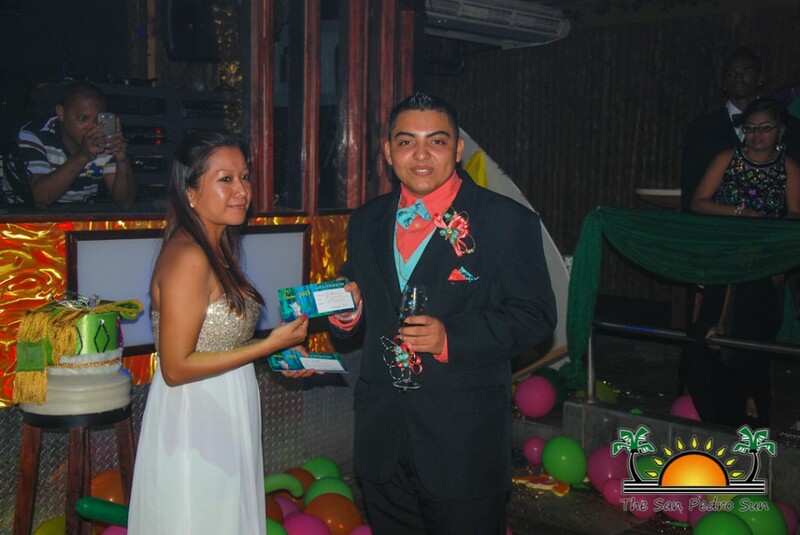 Inside Jaguar’s Temple several awards were presented before the dancing and partying commenced. 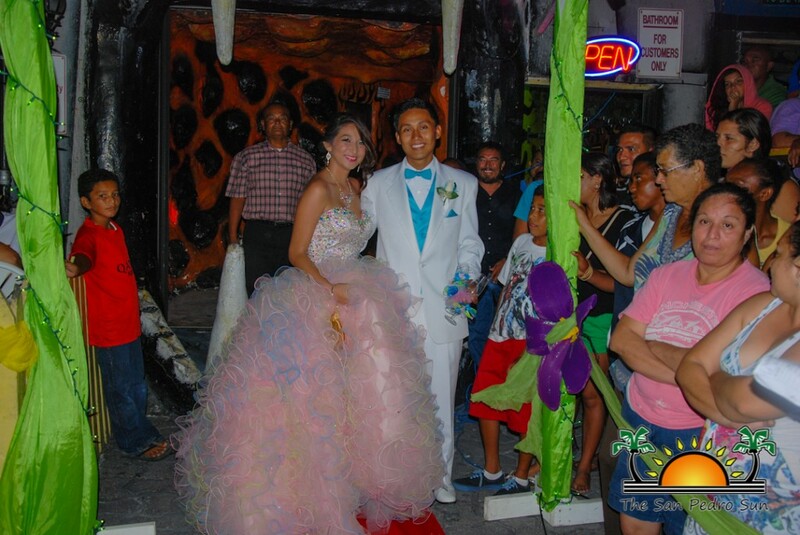 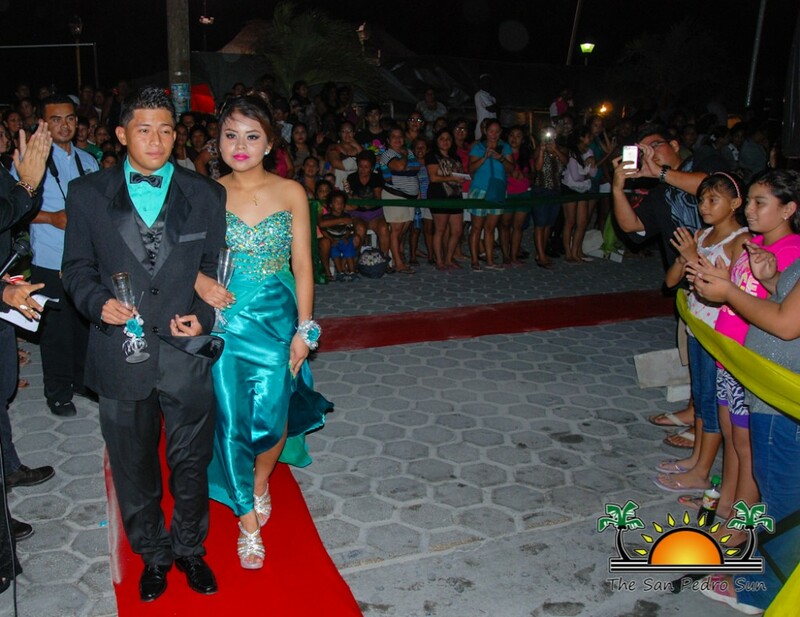 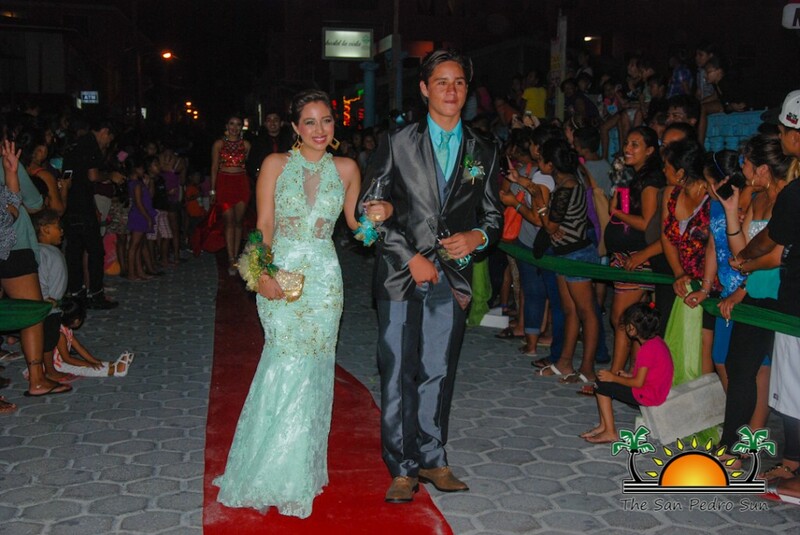 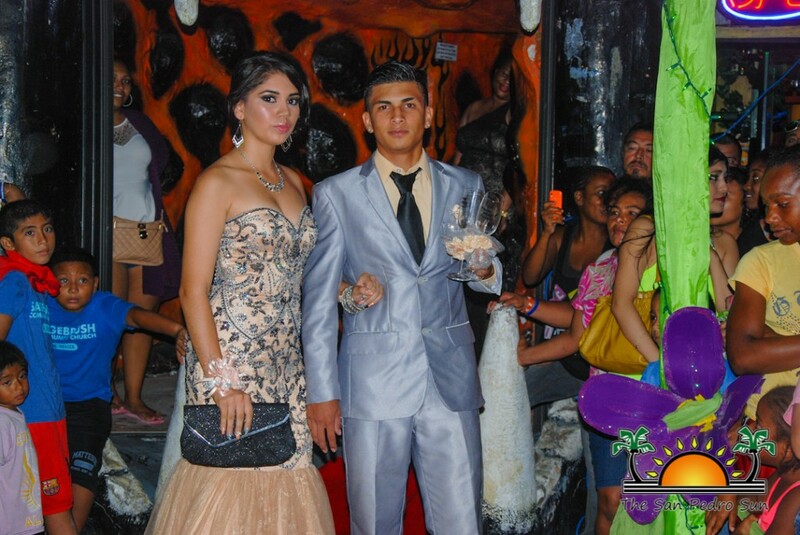 The award for Best Dress went to Magdaluz Guerrero while Aylin Nuñez took the award for best shoes. 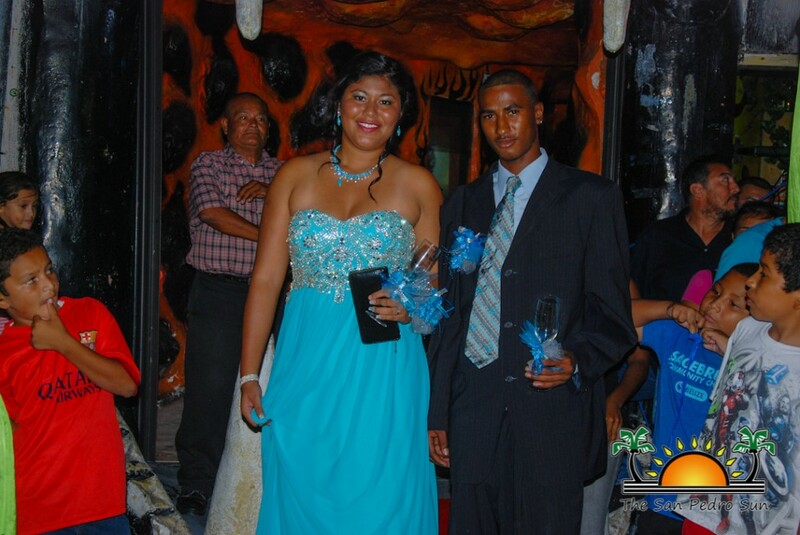 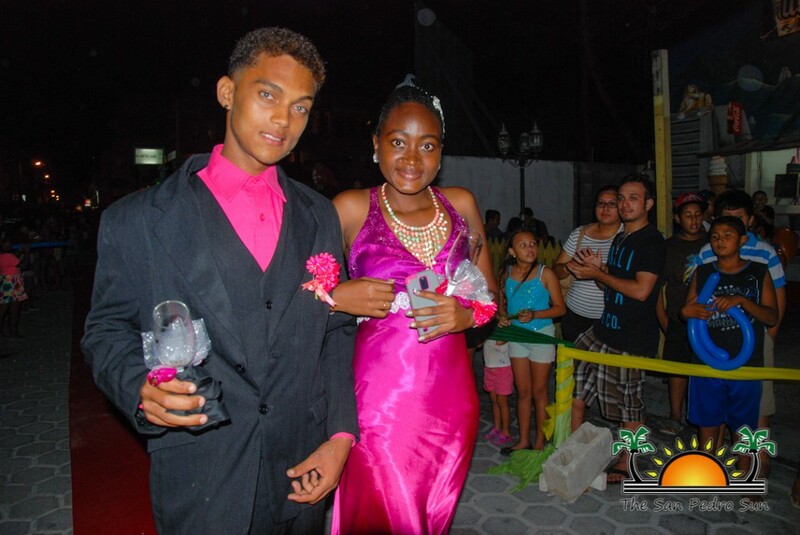 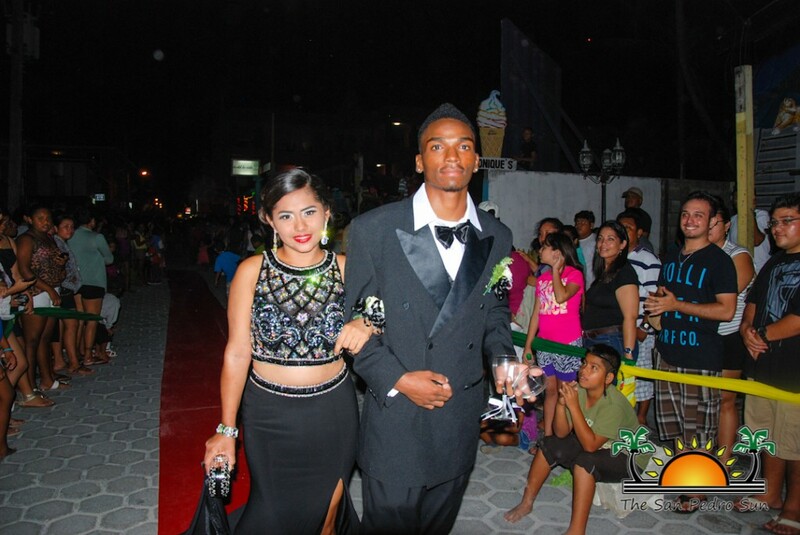 Best Tuxedo went to Giomar Marin, and there was even an award for anyone who had on red socks – winner: Tyrone Usher. 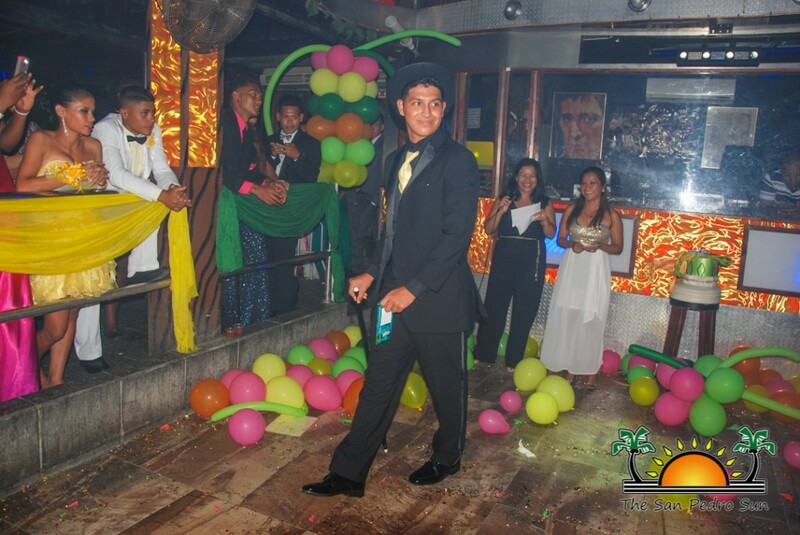 Randy Rivero took the award for the best entrance. 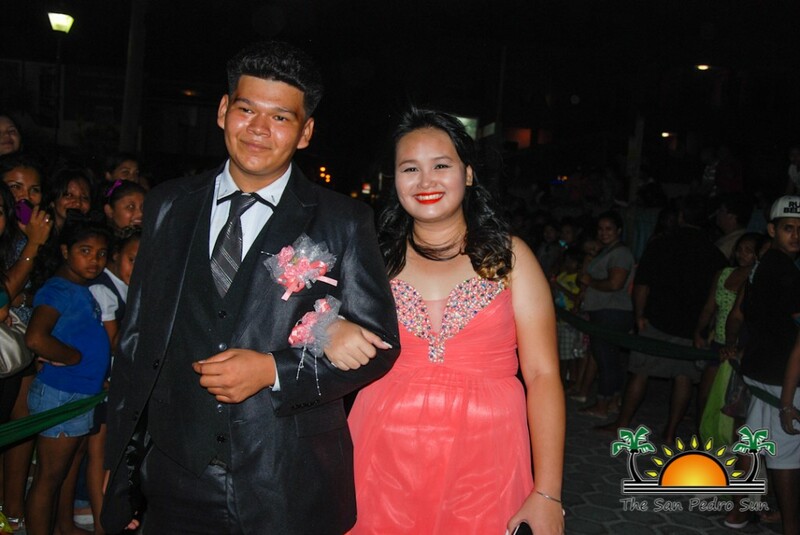 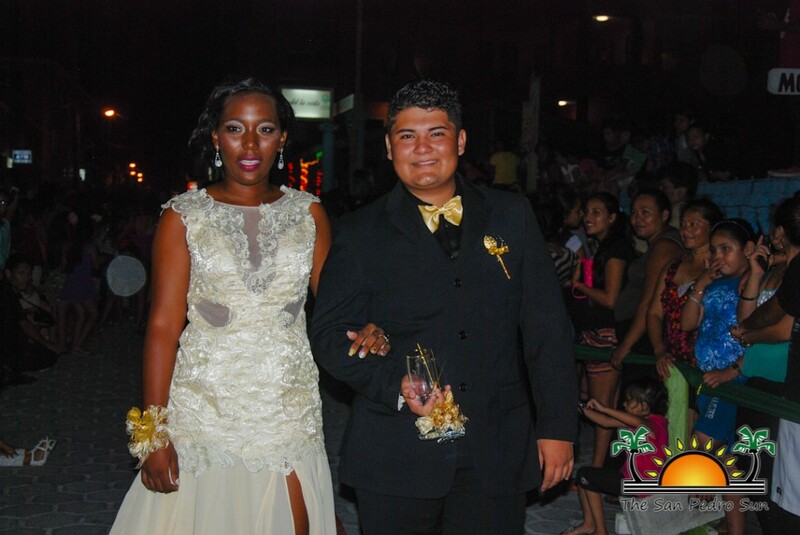 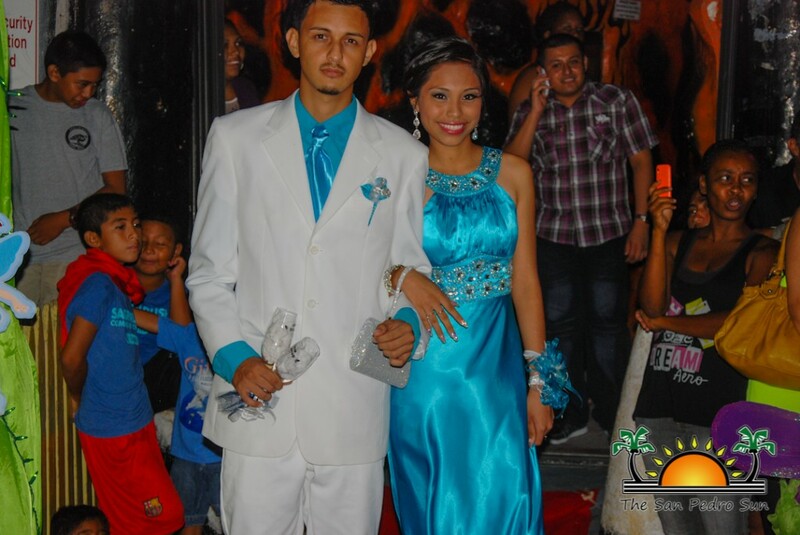 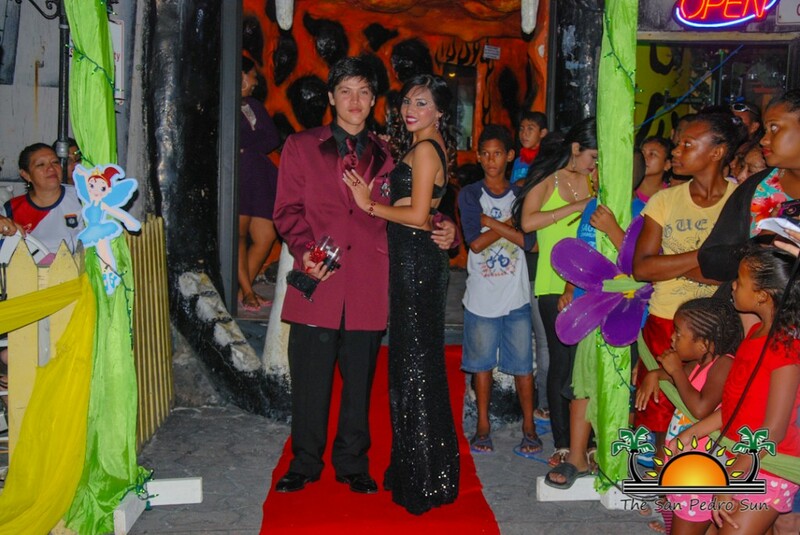 Sabrina Paz and Adilser Mai walked away with the award for best couple. 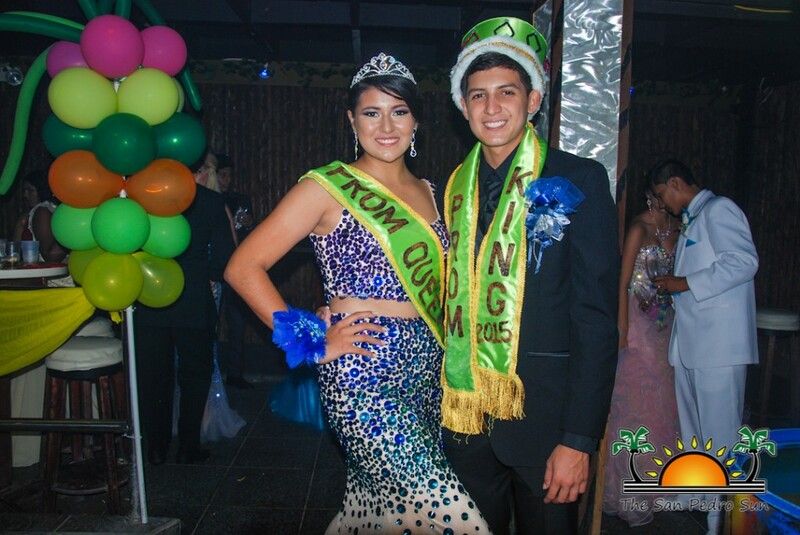 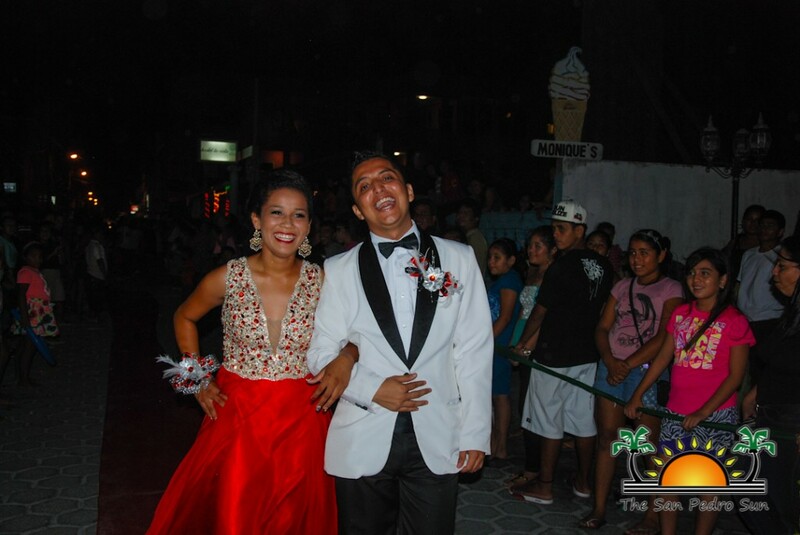 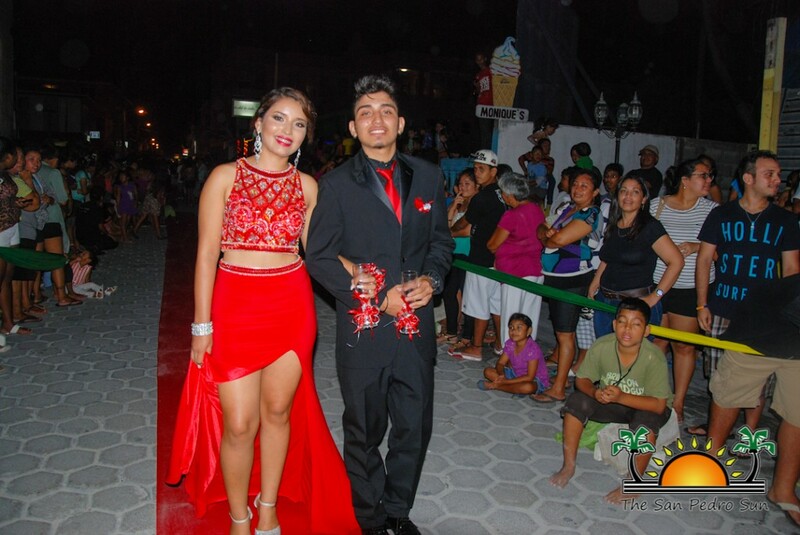 There was much applause as highly anticipated announcement of Prom Queen and King 2015 was made: Magdaluz Guerrero and Gabriel Nuñez Jr. took the honors. 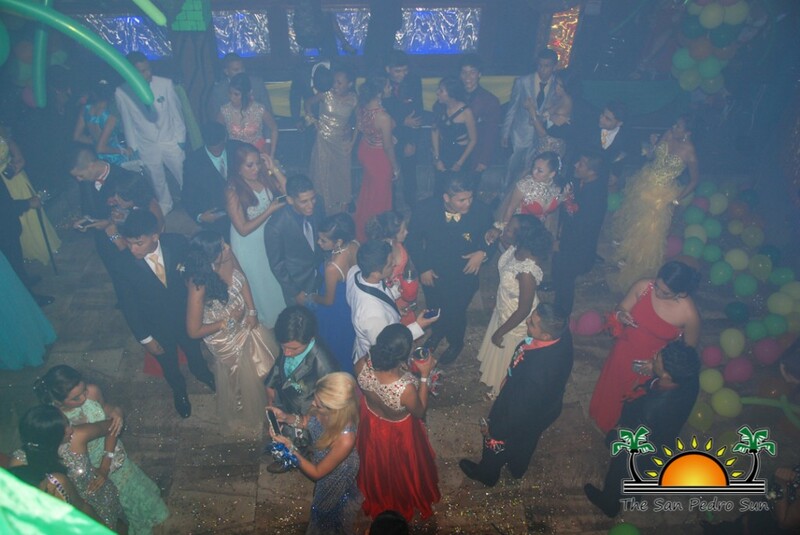 The SPHS Class of 2015 will be marching down the aisle to the tune of Pomp and Circumstance on Saturday, June 13th at the Auditorium. 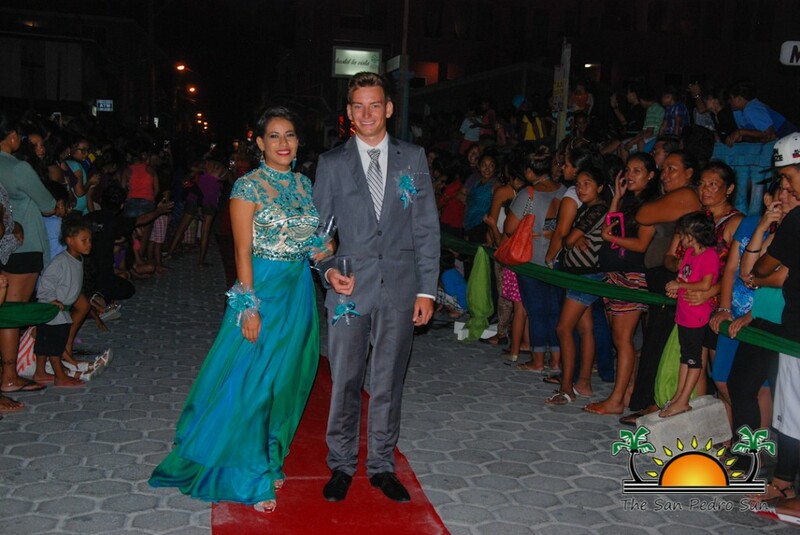 Congratulations Class of 2015!